There have been a lot of reboots, remakes and sequels this summer. I am not a fan of them because I’m tired of seeing the same type of films over and over again. However, the “Mission: Impossible” franchise is an exception. I have watched all five of the “Mission: Impossible” films many times throughout my life, and each one has a special place in my heart. For this reason, I have anticipated the release of “Mission: Impossible – Fallout” for the last few months. I could go on and tell you more about how good the trailers were and how challenging the stunts seemed, but there is no way around it — this film is good. Not only is it one of my favorite “Mission: Impossible” films, but it is one of my favorite movies of the year. The story takes place two years after the capture of Solomon Lane (Sean Harris) from the last movie. The Syndicate, Lane’s terrorist group, has dispersed, and the remains have evolved into The Apostles. Set on causing destruction, the group is trying to acquire three plutonium cores for their client, John Lark, to build nuclear weapons. 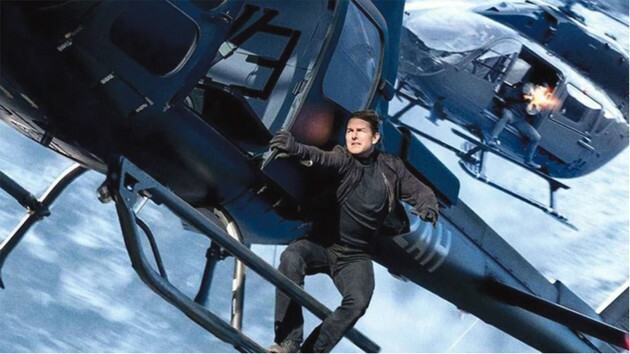 Ethan Hunt (Tom Cruise) and his Impossible Mission Force team of Benjamin Dunn (Simon Pegg) and Luther Stickell (Ving Rhames), are in charge of making sure The Apostles don’t get the cores. They intercept a meeting during which the cores are going to be sold, but fail and the cores go missing. Hunt is blamed for the failure and must go back into the field to find the cores while being shadowed by CIA operative August Walker (Henry Cavill). The race to find the cores begins, and when things get personal, Hunt may lose everything he holds dear to complete the mission he chose to accept. Writer and director Christopher McQuarrie crafted a good action movie. But he also executed his vision for the film with top-notch performances, cinematography, music and more. The action scenes are some of the finest I have watched in a long time. Everyone was meticulously choreographed and filmed. The HALO jump scene with Tom Cruise and Henry Cavill was incredible, and I am still wondering how they pulled it off. At multiple times I was on the edge of my seat. Better yet, all of the action scenes lead to one of the most intense climaxes I have ever watched. It kept good pacing, saving the best sequence for the most intense part of the movie (a problem some of the other Mission: Impossible movies have). A potential problem for some people is it’s a Tom Cruise movie. A lot of his movies get a bad rap, and most of the time I think they deserve it because he is overused. But occasionally some of his movies are worth seeing and this is one of them. Another issue might be some of the over-the-top action scenes. They may not be 100-percent believable, but I couldn’t care less because of how entertaining they are. My only suggestion before seeing Fallout is to make sure you are up to date on your Mission: Impossible movies. The film won’t be bad to see if you’re not, but you will get more out of the experience. Because I think the filmmakers made the best possible movie they could make, I am giving the film an A+. 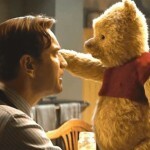 It would be a crime worthy of the IMF to miss this one in theaters.